When I went to see the Science Museum’s excellent Cosmonauts exhibition this week I expected to find objects and stories about Yuri Gagarin, Valentina Tereshkova and (with luck) some space dogs. I got all of those, but also a blast from my own past, when I encountered large-scale models of objects I had studied closely as a child. 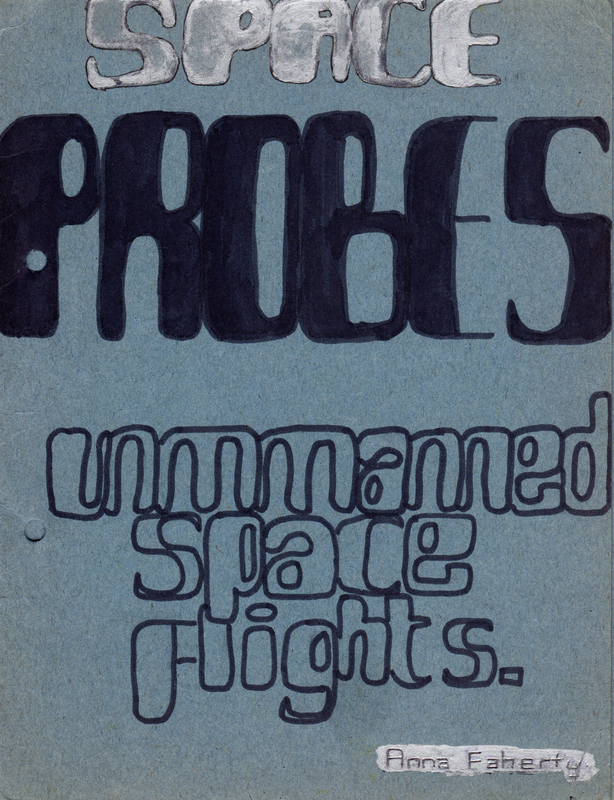 Charged with completing a project for a physics class in the early years of secondary school, I eschewed tales of scientists like Michael Faraday or Marie Curie and instead researched and produced a guide to space probes. 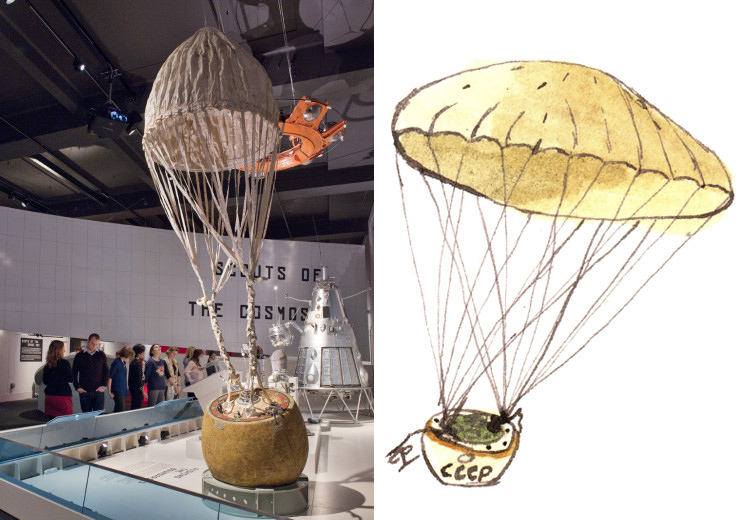 The ability to send inanimate objects beyond Earth’s atmosphere – and even to other worlds – clearly fascinated me more than the achievements of heroic individuals. It’s perhaps no surprise that, at a similar age, my favourite Star Wars character wasn’t Hans Solo, Chewbacca or even Princess Leia; it was beeping automaton R2-D2. Demonstrating an early interest in the character of objects and the stories they can tell (an interest I now satisfy by working with, and interpreting, museum collections), I found images of the probes in books and produced paintings of each of them, to accompany a detailed chronological report, including discussions of escape velocity and launch windows. I wrote in the introduction to my report, that I had included illustrations “for extra clarity”. I may only have received a B+ for my work (with a note that it was “well illustrated”), but the action of studying, sketching and colouring these inanimate things had such a strong impact that 30 years later I was stopped in my tracks by encountering these physical objects in three dimensions. 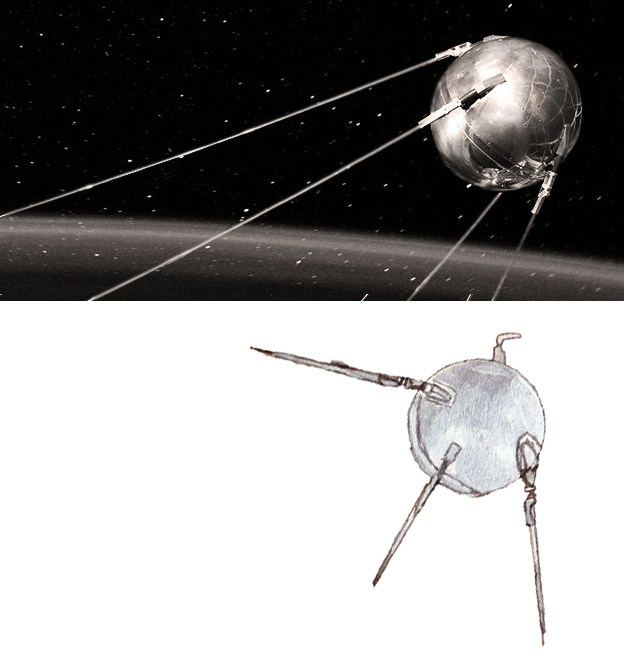 My favourite anecdote in the Cosmonauts exhibition is the story that ‘Chief Designer’ Sergei Korolev insisted Sputnik, the first man-made object to orbit Earth, should look impressive, since he expected models to one day be displayed in museums around the world. I wonder if he also foresaw children creating smudged paintings, entire school projects and powerful lasting memories thanks to the probe?